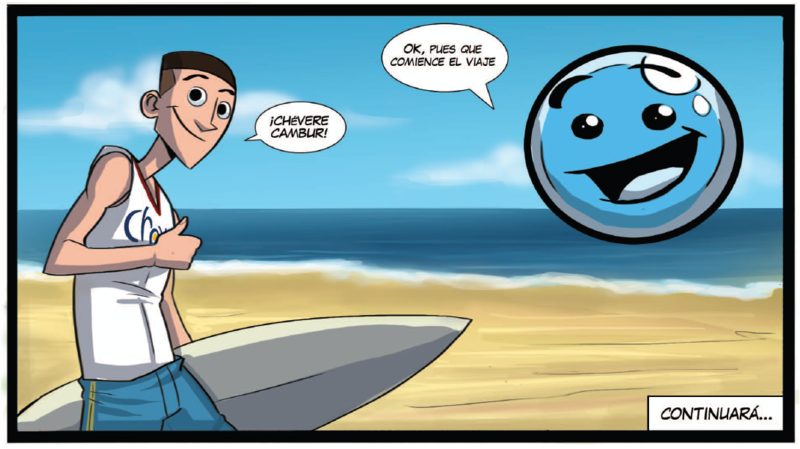 The Venezuelan Ministry of Torism has just released the Adventures of Cheverito, a comic that revolves around an eco-friendly Venezuelan – Cheverito (how many meetings did it take to come up with that?) – who travels around the country alongside his trusted companion Eco. The artist that made the cover seems to be a fan of Pokémon. Intellectual property, anyone? What the hell is Eco? A Pokeball? Flubber?! Or maybe Eco is a long lost cousin of Wilson (from the movie “Cast Away“), and Cheverito is simply lonely? 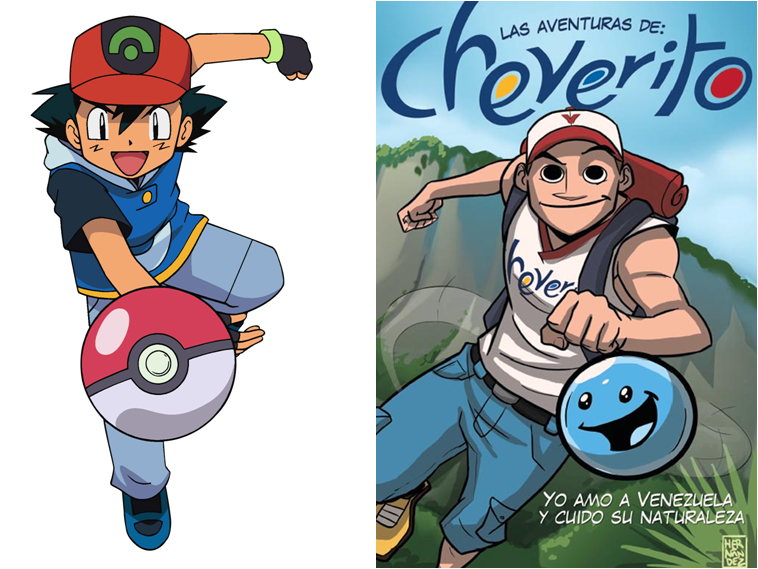 Knowing the cost of Cheverito’s adventure, he must be very rich. We dare ask: is he a friend of El Potro? Or maybe a friend of Dani Cabello, budding pop star and daughter of Diosdado? By the way Cheverito talks, we think he comes from the 70’s. Who the hell says “¡Chévere cambur!” now days and thinks it’s cool? Can you say pavosaurio? Eco talks about all the international tourists who visit Venezuela, pledging to come back because “este país enamora”. Don’t get us wrong: we love Venezuela. But it’s a fact that international tourism has declined due to the high crime levels. Besides, how are these tourists coming to Venezuela when there such few flights? Has Eco been reading ANY newspapers lately? Also… Cheverito seems pretty relaxed when it comes to his personal safety. Maybe he thinks our high crime levels are a matter of perception? Or maybe he has a couple of bodyguards? 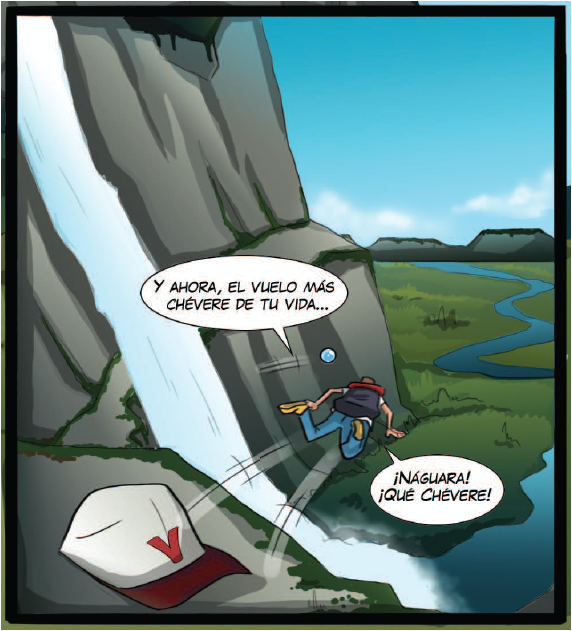 If Cheverito is so eco-friendly, why did he leave his cap at the top of Angel Falls?